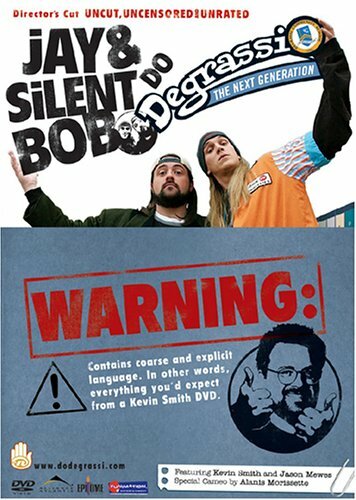 I didn't know what this was, but it was pitched as UNRATED Jay and Bob stuff! OOOH AAHHHH! Yea, that didn't happen. So I guess this is some show on in Canada, for like 3000 years. It's quality is between Saved by the bell and 90210 and I guess Kevin was into it and wanted to be part of the show? So he went and is in it, with mewes and hench I got stuck watching the DVD. I guess not stuck, it wasn't terrible, I just didn't know anything about the show, and it did have some semi good stuff with Jay and Bob, and/or Kevin and Jason. There was a really really good scene with them and Alanis but it wasn't enough to make this DVD anymore rentable if you haven't watched the rest of the show's. Overall, I feel Kevin did a good job as himself, and does himself well. He just still seemed to give off that way cool guy vibe and really seems like he is just awesome with people. It might be acting who knows, but I dug that, but this DVD is not really worth the rental.